"In the tradition of Candace Bushnell and Jackie Collins...hilarious, scathing and seductive." The secrets are deeper, the scandals bigger, and relationships more complicated than ever. When an anonymous blogger begins to expose the Scarlet Letter Society, a group of women who gather to discuss their various infidelities, founding members Maggie, Lisa and Eva find themselves at the center of a neighborhood controversy. And with the discovery of a popular local underground swingers' club, this supposedly quaint subdivision is turned upside down as gossip and accusations threaten marriages, families, and even the limits of the law. As more outspoken members of the neighborhood attempt to determine the identity of the Scarlet Letter Society members and expose the proprietors of the underground club, the women must protect their families and their friendships while continuing to search for true happiness. They must rely on friends, spouses, lovers and each other as the scandals threaten everything they care about. 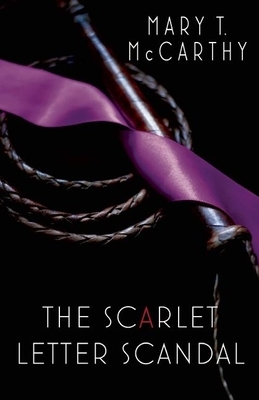 Steamy, witty, passionate and honest, The Scarlet Letter Scandal continues one of the most provocative new series around. Mary T. McCarthy's 20-year writing career includes The Washington Post, The Philadelphia Inquirer, the Baltimore Sun, regional magazines (two as editor), and newspaper humor columns. Online, she founded pajamasandcoffee.com in 2008 and writes and edits at SpliceToday.com. She has contributed as a blogger at katiecouric.com, appeared on The Today Show, Huffington Post Live, and ABC TV News' Moms Get Real with JuJu Chang. She has spoken at a number of national and regional conferences, including BlogHer, BloggyCon, and the Bay to Ocean Writers Conference, and she is an instructor at The Writer's Center in Washington, D.C. She lives on Maryland's Eastern Shore with her husband and four children. She is the author of The Scarlet Letter Society.